‘Take care of your body, it is the only place you have to live’ is a very appropriate quote by Jim Rohn. Our body is something which we should take utmost care of. During this time of modernization and fast life, we often miss the fact that no amount of money can bring to you your health back. And so proper diet and regular exercise are very important for one to keep himself fit and healthy. Getting the willpower to decide to go to a gym and working out is already difficult and on the top of that, we even have to pay a fortune to these gyms as well which is not always possible for everyone. At such times, there are various open gyms in the city where you can work out and keep yourself fit and that too without paying a single penny. All that you have to pay is hard work and dedicated efforts. Here is a list of places which are equipped with open gyms. 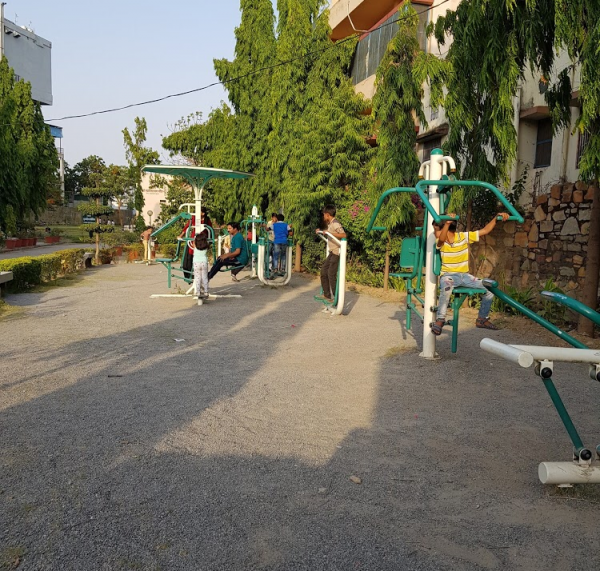 This open gym is situated opposite the shrine near Saraswati Library. Gulab Bagh is a huge garden where you can warm yourself up before the exercise by running and then you can head towards the gym. 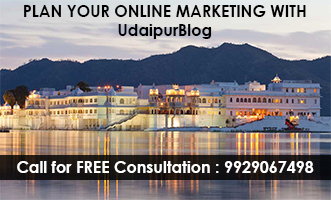 Gulab Bagh is a place which is very frequently visited by the people of Udaipur for the workout so it is possible that you may get a workout partner there. However, because of the same reason, the gym is a bit crowded during the mornings. Pratap Park is a newly constructed park which has become a huge tourist attraction in a very short period of time. The main highlight of the park is the enormous ‘I love Udaipur’ before the railing of the garden. It has various gym equipment along with a peaceful and comfortable environment to start your day with. In addition to that, it overlooks the beautiful Lake Pichola which will give you a pleasant sight while working out. 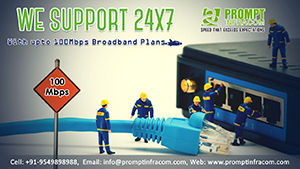 All machines are self-weight driven here which will give you a wonderful experience. The Open gym and Park overlooks Lake Fatehsagar creating a wonderful sight while working out. Fresh air coming from Lakeside will take away all your tiredness after the workout. There is absolutely no better way to start your mornings. Most of the machines here are core (stomach) based. 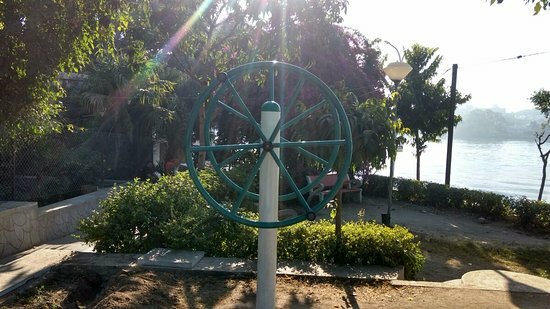 At the most adored place of all the Udaipurites, this open-air gym is situated at Guru Gobind Singh Park at Fatehsagar. The gym includes around 8 equipment along with an air walker. This facility is open for citizens of Udaipur throughout the week. It oversees Lake Fatehsagar too and provides a wonderful experience to those who are seeking for a good health without spending much money. For people living in the Hiran Magri sectors, Pooja Park would be an ideal choice as it would not be much far away from their respective houses. 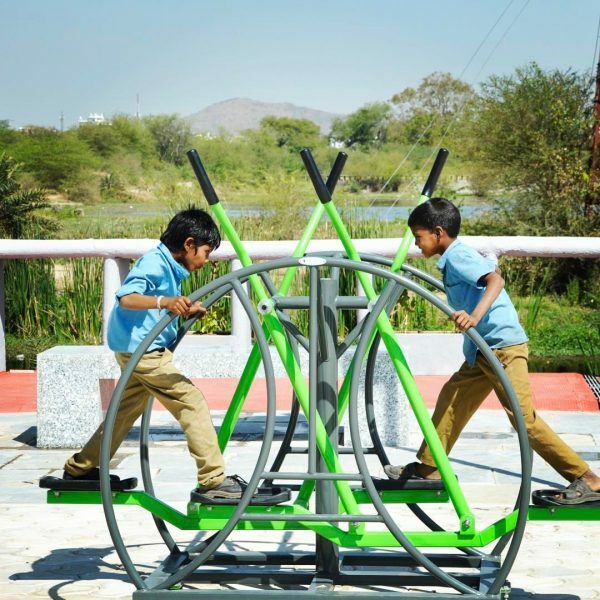 It is equipped with multiple gym equipment which is appropriate for people of all ages. Regular maintenance and lush green garden will give you all the motivation you will need for your workout. With time, it is getting quite popular with the people for their morning and evening exercises. It has a number of machines and equipment for all the people for their morning or evening workout. It is a well maintained and a well-decorated park. The wide stretches of the park is a very comforting place for everyone. Apart from the open gym, there are various comfortable seats placed in the park, temple of Goddess Durga and Lord Swaminarayan. It is appropriate for friends, family or children. Townhall is situated in the City Center, so it is not much far away from anyone’s home. It is well equipped with a track for your jogging around the fountain and various machines for your daily workout. There is an underground public parking too where you can park your heavy vehicles. It is an ideal place for all the fitness freaks and morning and evening joggers. These were the list of some open-air gyms in the city. While it seems very good and enjoyable to practice workout in the open air, we should understand that it is a facility given to us for our own benefits. Just for some moments of fun, do not harm any of these machines and equipment as what you do now will make everyone else suffer. Make sure that you respect and take care of the things in your city and use these facilities carefully. If you see someone else doing so, tell him not to do such things and if it doesn’t work out, try contacting some authorities regarding the same.